As WPPSEF and the other PA sustainable energy funds celebrated 15 years of operation in 2015, WPPSEF worked with the Pennsylvania sustainable energy community to plan a series of events called Power & Foresight. These events shined a spotlight on the leaders who are making a difference and who will light the way for the next generation. WPPSEF held many events as we traveled across the Commonwealth to learn from the experts. 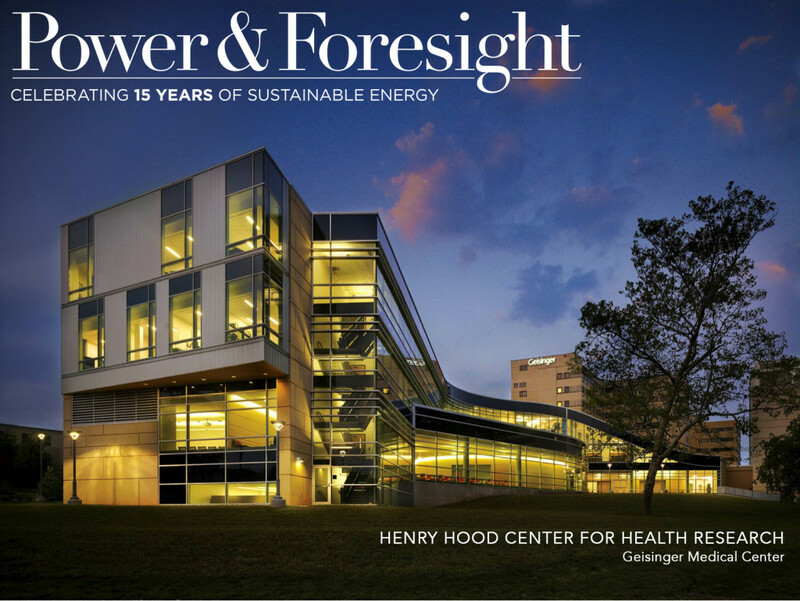 Power & Foresight hosted events at Geisinger Healthcare System, Energypath, Phipps Conservatory and Botanical Gardens, Community Energy’s 6 MW Keystone Solar Project in Lancaster, The Pennsylvania State University and Elk Country Visitor Center. Each one of these leaders demonstrates Power & Foresight in the way they produce and manage their energy. These workshops were free and provided a behind the scenes tour and a chance for attendees to speak to, and learn from, the experts who are achieving results. On October 7, Power & Foresight held a homecoming for the pioneers of the industry and the future energy champions in State College, PA. The sustainable energy community came together as a group, with the purpose of igniting conversations, reconnecting with old friends, and setting a course for the future of clean energy in Pennsylvania. Attendees had the opportunity to connect with the crowd that funds sustainable energy, to learn how businesses are moving the markets and the opportunity to see what the sustainable energy landscape looked like fifteen years ago and how far we have come. In 2016, WPPSEF will continue to spotlight the leaders who are making a difference.